The content type you will likely use most often is the Editor, which allows you to create text and add images. Cascade CMS has a What-You-See-Is-What-You-Get — or WYSIWYG editor — similar to other web-authoring programs. Find the page you want to add the Editor to and click Edit. 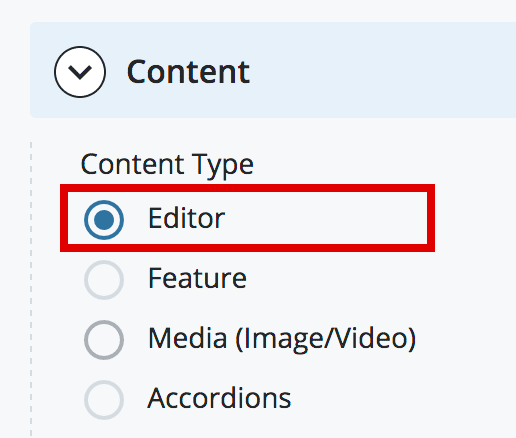 In the Content editor, select the Editor radio button and click > Editor. Add your content to the WYSIWYG editor. Click within your content and look to see if some character appears in the field below the text area. If you see a "p," your text is properly formatted as a paragraph. If not, highlight your text and Formats menu in the toolbar. 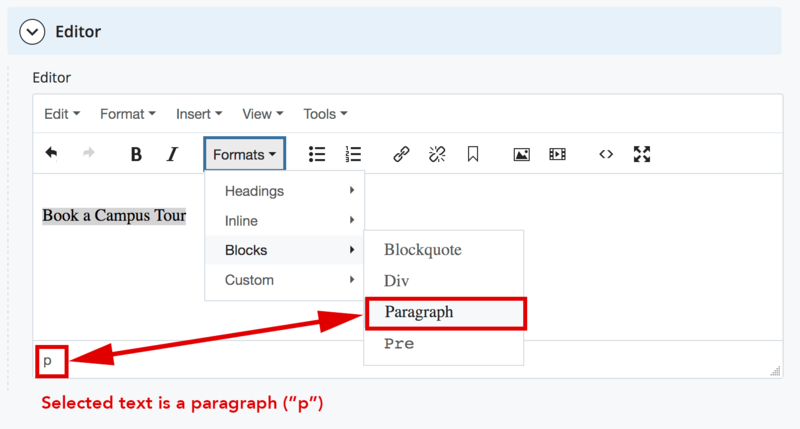 From the dropdown menu that appears, go to Blocks > Paragraph (for normal text). This is also how you apply headings. Copy and paste (using ctrl + V) your text from Word into the WYSIWYG editor. 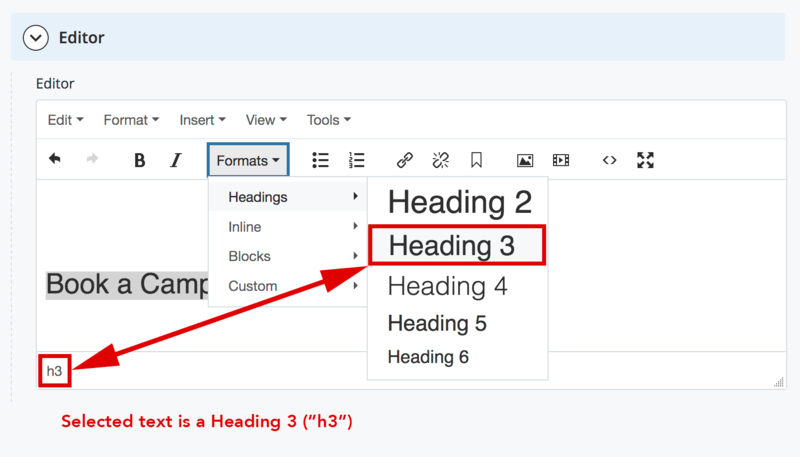 Whether you are using a Mac or PC, do not select the Paste as Text option in the CMS. Using paste as plain text removes space between words and corrupts text formatting.